These are currently the most popular foods that people want to cook with. 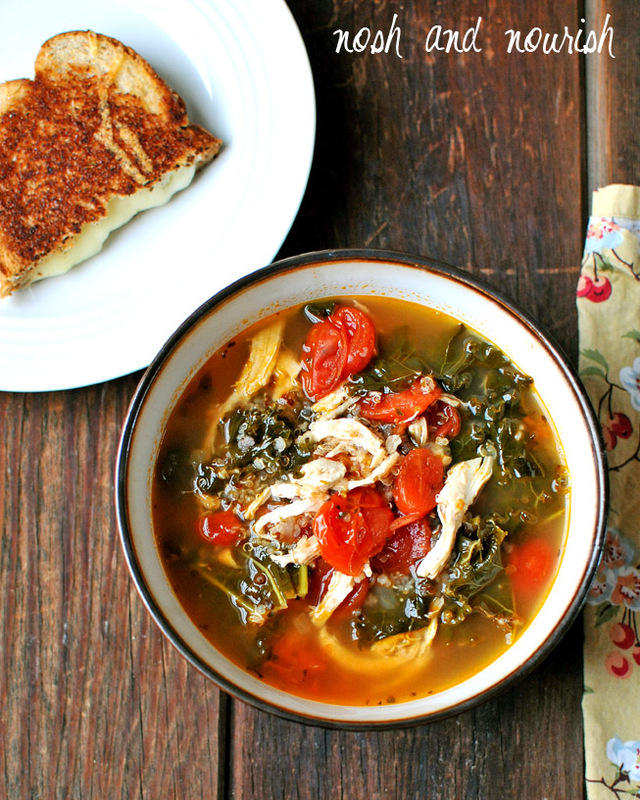 Well, I've got you covered with this new Tuscan Chicken Soup, because it has all three in one recipe! I use kale and quinoa all the time, and have round-up posts for both: Kale here. Quinoa here. And they both happen to be superfoods in my new cookbook as well! 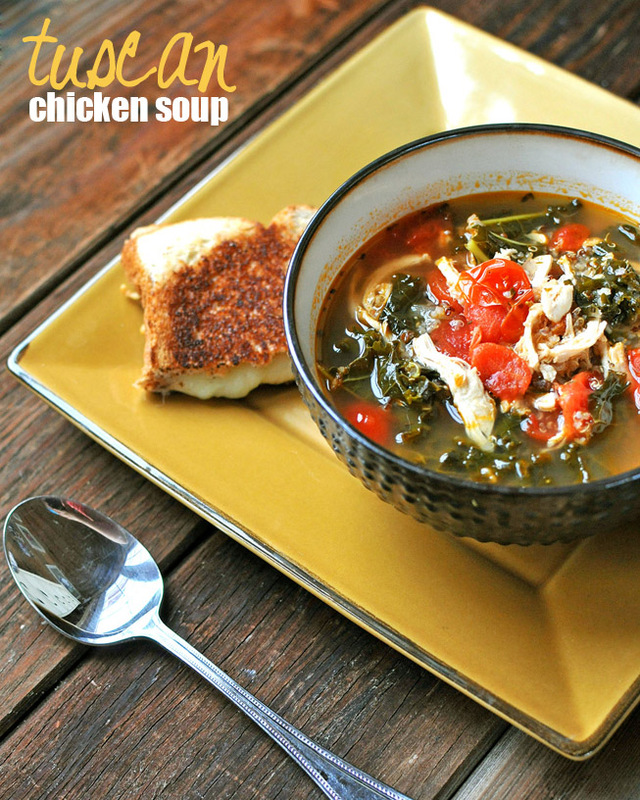 This hearty Italian soup is packed with protein and over a full day's worth of vitamins C, A, & K! On its own or served with provolone/parmesan grilled cheese, this meal is sure to please everyone at the table. In a large stock pot over medium high heat, heat up olive oil. Then add diced onion, diced kale, and minced garlic. Saute for approximately 6 minutes, until onion is slightly browned. Add in remaining ingredients, except for chicken. In a separate pan, boil the chicken breasts for approximately 10 minutes or until cooked through. Then let cool for 10 minutes before shredding with a fork or by hand. Then add it into the soup. Let the soup simmer for 30 minutes. Serve with provolone/parmesan grilled cheese (optional).